After running 8 strong colonies on clover in Western Kansas in 2017, the bees yielded a great harvest but failed with a loss of several queens in the late summer. I ended up with only three colonies surviving into the spring. A late, brutal winter kept the bees from forming new brood as they usually do. 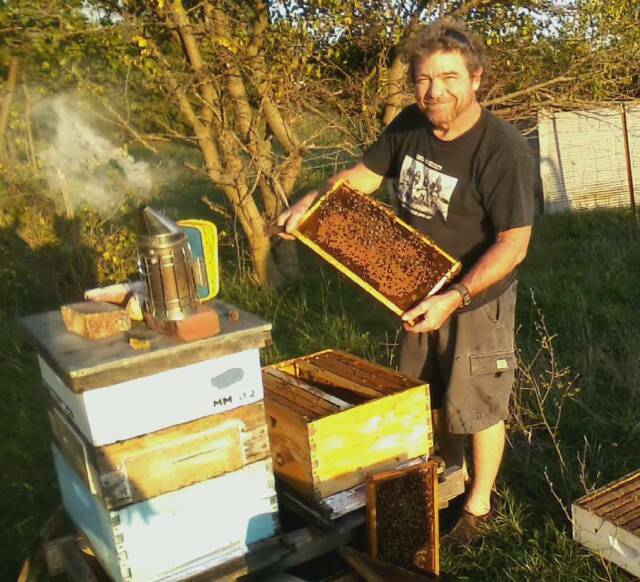 On April 1, with the help of some close friends who adopted colonies, I purchased 8 new packages of bees. But days later, 5 of the 8 colonies froze to death as they couldn’t un-cluster and eat any of the available feed. This was the first time in my 25 years of beekeeping that anything like this has happened. My supplier was generous to help with some extra nuc-colonies to replace the lost ones. But unfortunately because the season was running so late, these new bees never got much work done towards rearing brood. In May, there was a 10-day bloom of Black locust trees in, and near Weston, Mo, which yielded only a small quantity of honey because there were only three hives with a working population. In June, it went from early spring conditions to hot-as-hell in one week in the Kansas City area. The honey flow was over. I moved the bees to southern Wisconsin to set on Basswood trees near a friend’s farm. They did well for two weeks, but when the Basswood was done the buckwheat we expected did not produce nectar, so nothing followed. I continued chasing flowers in a north-eastern direction ending up near Portland, Maine on the farm of my son and his wife. But the nectar flow from Goldenrod & wildflowers was nearly over by late August. The bees never got a good flow all summer long. In early October my plans to move them back to Kansas for the winter were called off when I got the news that yellow jacket wasps had attacked all the colonies, assassinating them, and robbing out all the honey they had stored. Recent climate change, the proliferation of the South African Hive Beetle, and the use of pesticides & herbicides are making it very difficult to keep bees alive. But it is my hope to start over and run new colonies again this coming summer. In the past years, I have received enough help from a gofundme page to purchase a used school bus and a brand new 6x12 trailer. Thanks to all who helped me. I have converted the bus to living space, which will make it possible to travel and stay with the bees. 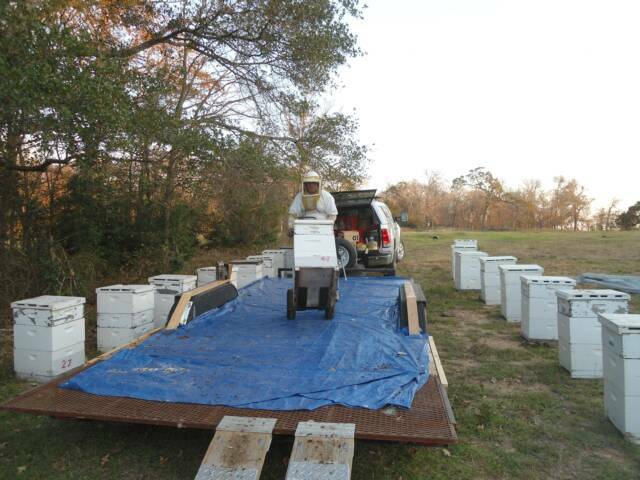 This will save fuel, which is the main cost of running a mobile apiary. It will also allow me to closely manage the bees. I will soon be launching another gofundme campaign to raise money for the purpose of replacing my livestock for next season. Please don’t use insecticides or herbicides. They are unsustainable, being toxic to all insects as well as honeybees. The very first, and perhaps most important pollen source in the spring is the dandelion. Please do your part to preserve the life of a bee. Leave them growing in your yard. And have conversations with your neighbors about this vital plant and it’s importance to the struggling pollinators. All the best to you, and yours.